Some of our best memories are built playing during summer vacation. Children love to have adventures and look for different and exciting things to do. This story is about a little boy named Alex, who has an inquisitive imagination and finds himself discovering something magical while out playing one day over the summer. Every parent wants their child to discover and explore new things through play. This children’s book is outstanding in that it helps kids to understand the importance of play and imagination. Play allows kids to develop their creativity while using their dexterity, imagination, and cognitive skills. Play allows children to practice all the skills they need as they grow up. In today’s technology-full world, play is often overlooked. This audio story helps children rediscover how to play. 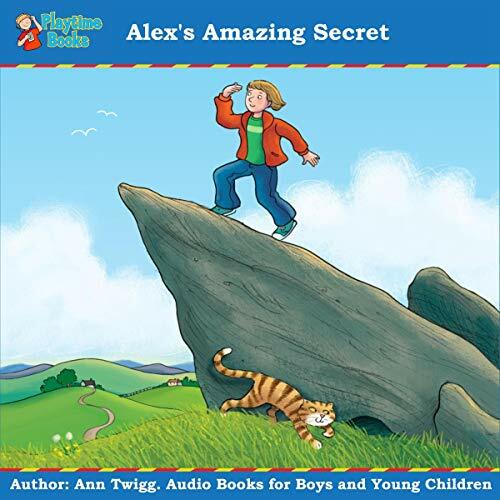 Ann Twigg’s Alex’s Amazing Secret audiobook is carefully crafted and designed to encourage children to use their imagination. Ann’s narration of this audiobook will help a child to learn through play, and they will understand how using their imagination can make great things happen. This book will have your child hooked within minutes of starting to listen.